The North Limestone Cultural Plan is a planning process that will create community-derived strategies to make public space and public art more equitably designed, and will ensure that the entire community has input and equal access to cultural assets. The goal of this Cultural Plan is not to have a process, create a report, and put it on the shelf. 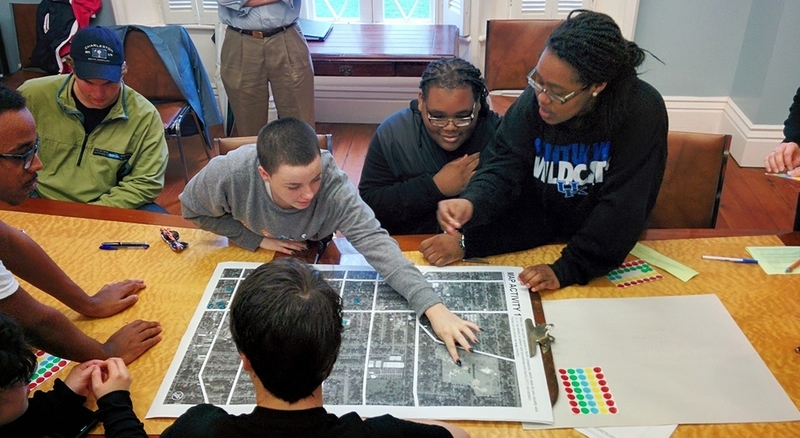 It is our goal to create a framework and process by which community input and engagement can be a perpetual and ongoing thing, so that, as we identify projects for North Limestone CDC to pursue, those projects are always rooted in the desires and interests of the whole community and all of the groups that comprise that community. We are working with local historians Peter Brackney and Joyce Johnson, as well as cultural anthropologist & photographer Steve Pavey, to develop a more clear and complete picture of the community, both through historical research as well as documentation of neighbors' stories and memories. Information has been gathered from the Radical Walks with nearly 200 individuals in the community, each of which has a unique position and perspective on the neighborhood. We held three public walks throughout January, as well as a handful of smaller focused ones, and are continuing to schedule walks to gather more and more input. Information was gathered by the UK Community Innovation Lab as a part of the work on Northside Common Market, through 2 gatherings (one each at the Plantory and Embrace Church) led by 10 Community Researchers who were hired to act as liasons to the community in this process. The purpose of these gatherings was to get input from individuals in the neighborhood who were invited. This Plan will directly result in 2-3 public art projects in the neighborhood, which will be funded by the National Endowment for the Arts.